Bankruptcy rules and regulations – particularly regarding taxes – can be highly dependent on the chapter you file. Both Chapter 7 and Chapter 13 stop collection efforts by the Internal Revenue Service while you're in bankruptcy. Beyond this, however, each chapter treats tax debts differently. In a Chapter 7 bankruptcy, the trustee takes control of your non-exempt assets and sells them to pay your creditors. Exemptions allow you to protect some of your property. If you have no non-exempt assets so there's nothing to liquidate, some tax debts can be eliminated – those resulting from returns you submitted at least two years before you filed if the returns were due at least three years before. If you have some non-exempt assets, the IRS receives payment before other creditors. If your tax debt isn't discharged, it will still be due after your bankruptcy is over; the IRS can begin trying to collect from you again at that time. Interest and penalties continue to accumulate while you're in bankruptcy. Chapter 13 is a court-approved plan to pay off your creditors with your disposable income over a period of three to five years. If you owe the IRS, your tax debt is included in the debts paid off through your plan. If you don't pay the tax debt entirely, the remaining balance is typically discharged. Unlike with a Chapter 7 proceeding, penalties and interest stop piling on when you file for Chapter 13 protection. Howard S. Levy: Offer in Compromise vs. Bankruptcy – Which Settlement Amount Will Be the Lowest? Chapter 13 bankruptcy allows you to create a three- to five-year repayment plan to catch up on your debts. If your case is dismissed, either by you or the bankruptcy court, prior to completion of the repayment plan, you will not receive a bankruptcy discharge, which erases the debts covered by your bankruptcy case and makes them unenforceable by your creditors. Does Bankruptcy Supercede a 1099C? 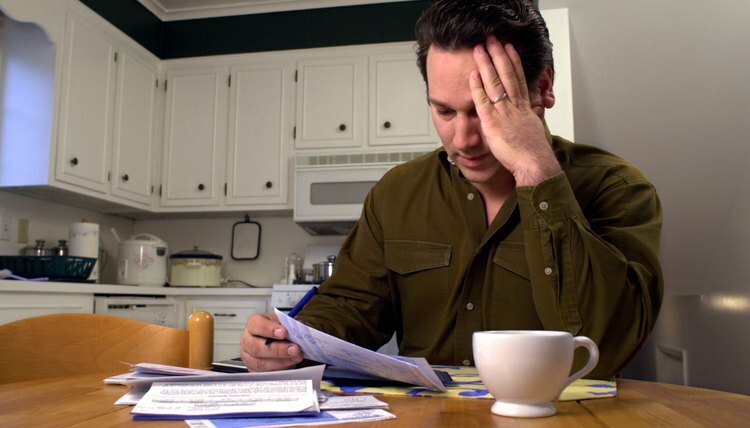 Most individual debtors file for Chapter 7 or Chapter 13 when they go bankrupt. The processes are very dissimilar, but the outcome is much the same. In Chapter 7, the trustee liquidates or sells your assets and pays down as much of your debt as possible with the proceeds. With Chapter 13, you pay down as much of your debt as possible with your disposable income each month. In either case, debts left unpaid are discharged. The discharge of the cancelled debt reported on form 1099-C can be tricky, and it depends a lot on timing.